Based on our long tradition as manufacturer of the passive electronic component "film capacitor", we focus on continuous technical innovation, productivity and cost optimization. In this way we continue to set pioneering trends in capacitor technology. Our customers are found throughout the industrial and medical electronics industry, in the automotive and lighting industry; among them are the most prestigious and world market leaders of their industry known for their highest quality requirements. WIMA was founded in 1948 by Wilhelm Westermann in Unna/Westphalia. As a pioneer of the first hour, he succeeded in establishing the company as "the address" for paper and plastic film capacitors within a few years. In contrast to long-standing competitors, which today are predominantly owned by inter- national groups, we are still an independent and privately owned company. Today the company headquarter is located in Mannheim. Until then, mainly capacitors made of paper and plastic film were produced in film/foil technology. The breakthrough with the first metallized polyester capacitor in the large-scale production happened in 1959: Tropyfol M. The since new material and the metallization process opened the way to further miniaturization and cost optimization. Even today, the majority of the foil capacitors used are made of metallized polyester. With the introduction of the first metallized polyester capacitors with radial connections for plug-in technology on circuit boards, further possibilities of rationalization were opened up. The new capacitors required less space on the circuit board and could be used in the rising automatic configuration due to the exact geometrical dimensions. 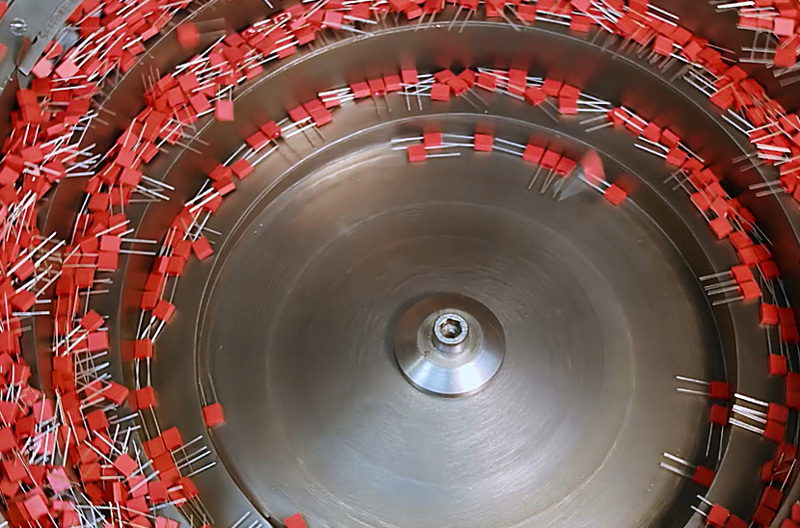 Today, our plastic film capacitors are manufactured exclusively in box-type technology, which over the years has proven to be much more advantageous in processing than the dipped or pressed version. In addition to the standard dielectric polyester (PET), further dielectrics were used already in the 60’s. In particular polycarbonate (PC)-of which production was terminated by Bayer AG as the only manufacturer at the end of 2000- and polypropylene (PP) were successful due to their positive properties. In 1988/1989 we launched the world's first polyphenylene sulfide capacitors (PPS) for application temperatures up to 140 ° C. In addition to plastic film capacitors, we still manufacture radio interference suppression capacitors based on metallized paper (MP) for special safety against passive and active flammability. After the first location in Unna, the Aurich plant was opened in 1959 and the Berlin plant opened in 1964. 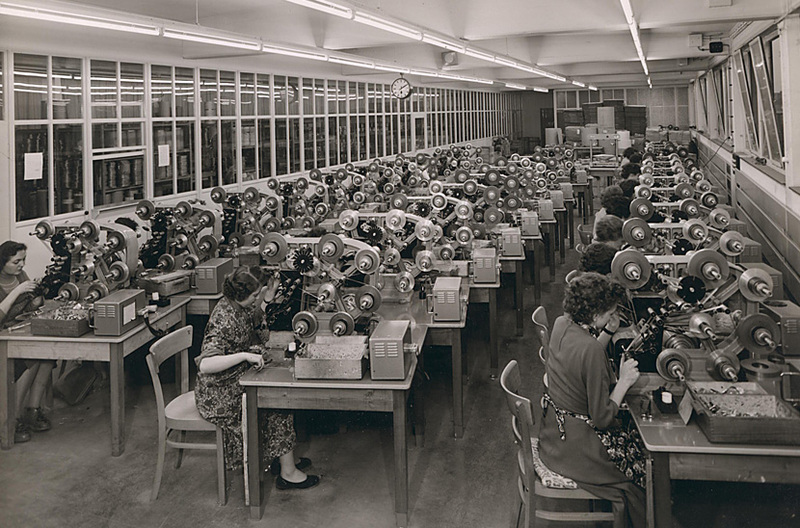 The company headquarter and sales department were already moved to Mannheim in 1956. To date, we have been manufacturing exclusively in Germany. With the coming up of even thinner plastic films in the 70’s, the miniaturization was pushed ahead. After the first capacitors in the 5 mm grid in 1970, the first components in the grid size of 2.5 mm followed in 1979. Metallizing and winding of ultra-thin plastic films with a thickness of <0.8 μm requires the use of high-precision machines and requires a high degree of experience and technical know-how. 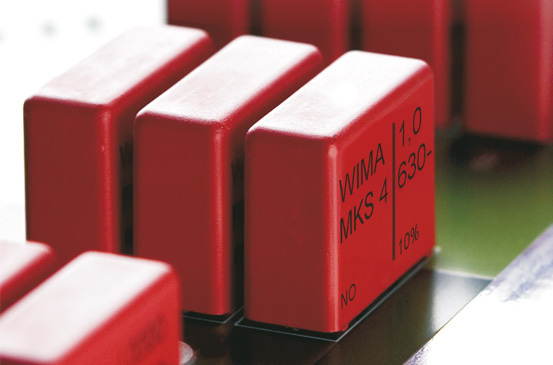 The WIMA MKS 2 today reaches e.g. capacitance values of up to 10 μF in the grid dimension 5 mm, while a MKS 02 with a grid dimension of 2.5 mm shows capacitance values of up to 1 μF. Until today, we are the only manufacturer in the world capable of producing miniaturized film capacitors in PCM 2.5 mm. A completely new design principle for safety capacitors was presented in 1971/1972. The structure consists of a non-metallized dielectric foil and a double-sided metallized layer as an electrode. The double-sided metallization improves the electrical conductivity and doubles the contacting area. 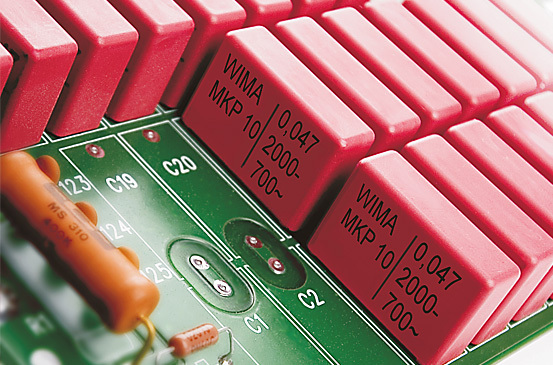 The better connection between the electrode and the schoopage layer allows a high current or pulse load capacity, while maintaining the properties of metallized capacitors, such as excellent self-healing capability and high volume capacity. The principle is used today with the MKP 10, Snubber MKP and GTO MKP. 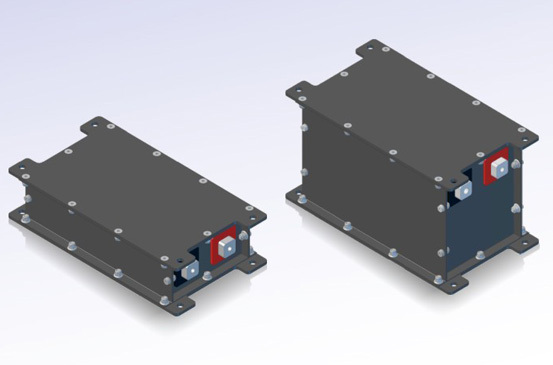 For extreme pulse loads, we have developed the FKP 1 series. It is the high-end of capacitor technology in terms of pulse load capacity. As the first manufacturer, we launched the market in 1983 with a plastic film capacitor in SMD design. In 1985 a second, revised version followed. Further developments followed. In 1998, the volume was reduced by up to 55% with a new concept. Today our SMD series with polyester, PEN or PPS dielectric cover the sizes 1812, 2220, 2824, 4030, 5040 and 6054 as well as a capacitance spectrum of 0.01 μF to 6.8 μF and a nominal voltage range of 63 VDC up to 1000 VDC almost the entire range of application of conventionally wired plastic film capacitors. 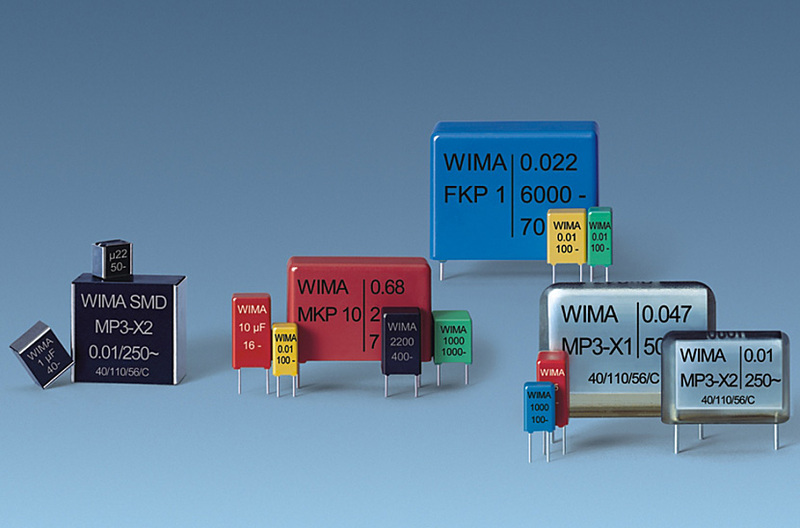 Continual technical progress and expansion have made WIMA the first address for high-quality film capacitors worldwide. DC-link capacitors are used in power electronics, e.g. in converter technology. 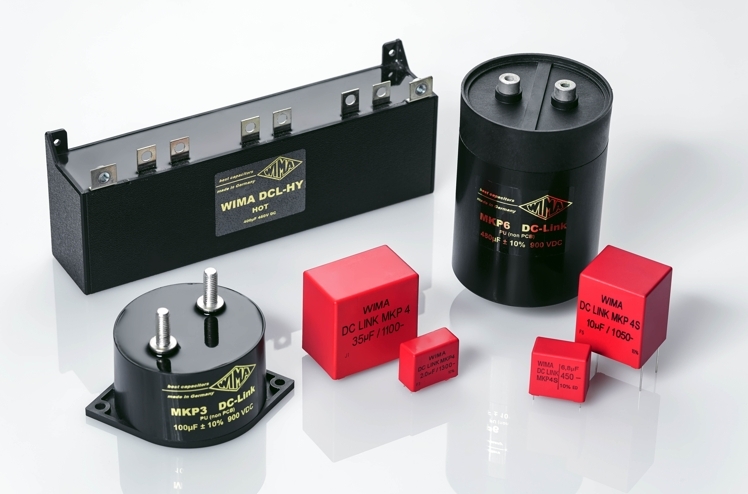 Our DC-Link capacitors are constructed on the basis of a low-loss polypropylene film and have substantial advantages compared to electrolytic capacitors, e.g. self-healing ability, dry construction, nonpolarized connections, long lifetime, very low loss factor. 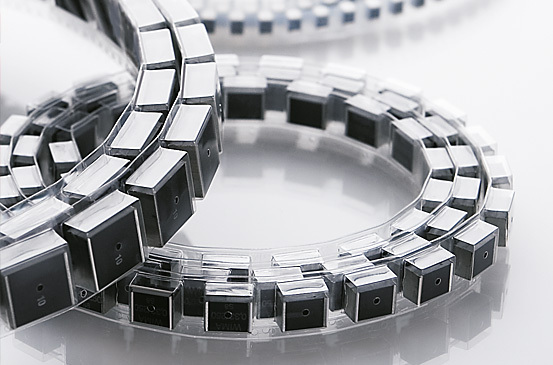 Besides rectangular, wired versions, we also produce cylindrical versions with various connection configurations. In addition, customer-specific solutions are one of our greatest strengths. SuperCaps are double-layer capacitors with very high capacitances in the farad range which are used as energy storage devices to support, supplement or replace batteries. Initially, the production of single cells in rectangular and cylindrical design was advanced, today we specialize in the manufacture of customized, cascaded modules. Their use saves weight, reduces maintenance costs, protects the environment and increases the efficiency and lifetime of the systems in which they are used.